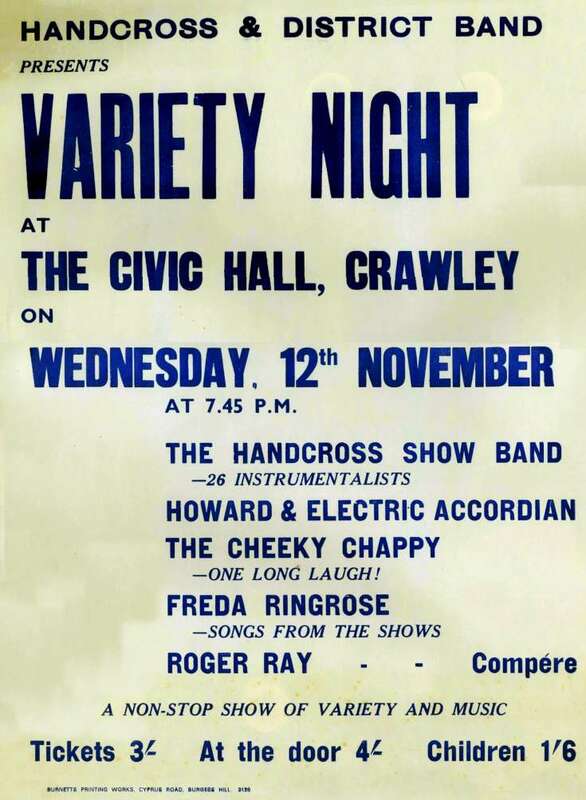 This poster from 1969 names the band as the Handcross Show Band and proudly boasts of 26 instrumentalists. With one long laugh from The Cheeky Chappy (Peter Bryant) it must be jolly good value at 15 pence in new money! Click on Open Document to view two band posters from 1968. The first half of the 1969 Christmas Variety Show of 1969 can be heard with picture #1248. Use the controls below to hear the second half. It finishes with Auld Lang Syne and, of course, the National Anthem.